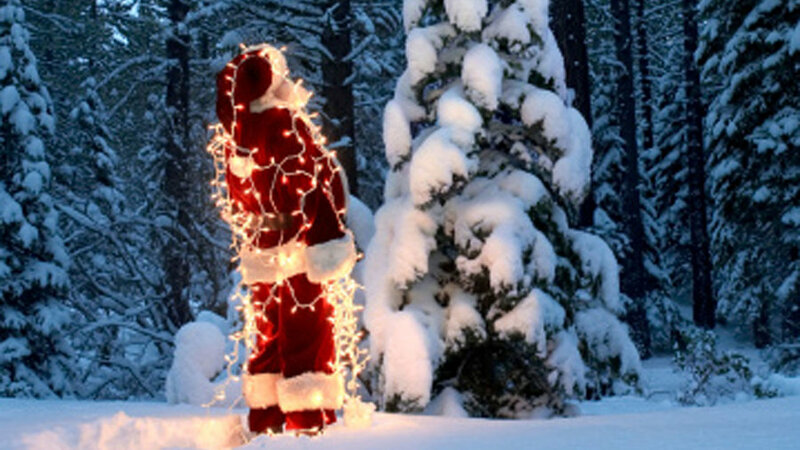 There’s nothing like sparkly holiday lights to brighten winter’s short days. 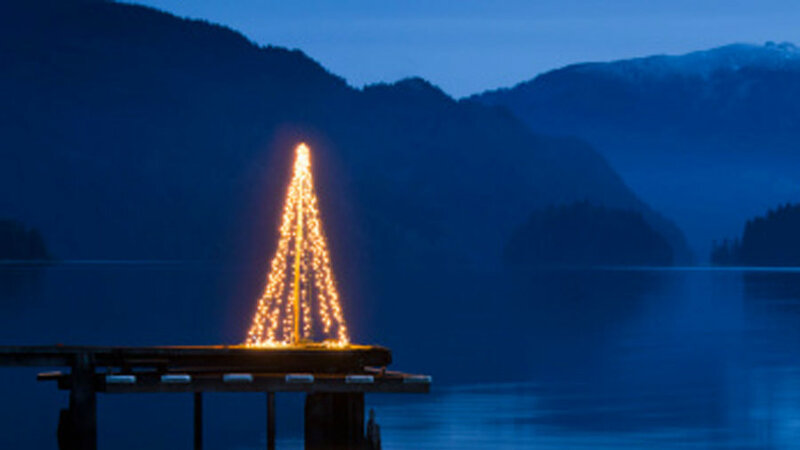 Even battery-powered light strings, wrapped around a nail in the top of a center pole and pulled taut to stakes at the bottom, can turn the quietest scene magical—as this “tree” does on a wooden pier. In your garden, get this simple but elegant look by setting a pole tree against a dark patio wall or tall hedge. 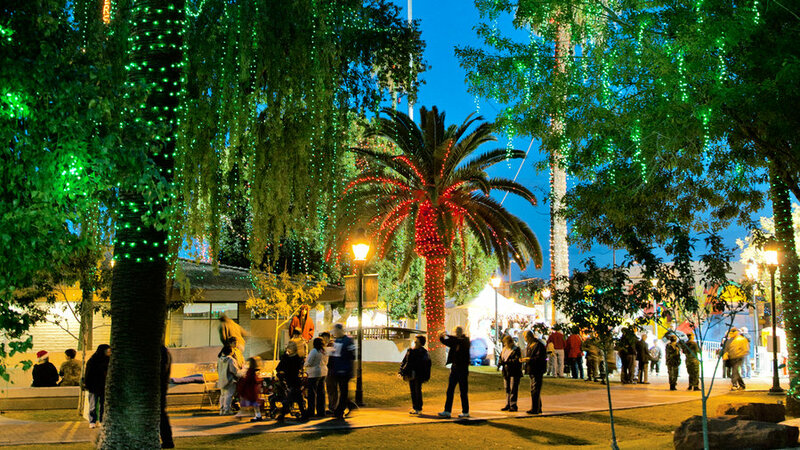 Wrapped in stings of colored lights mixed with white ones, these tall palm trees create their own special drama against the night sky. Don’t try this yourself, though; if you’re lucky enough to have tall palms in your yard, hire a pro to do it for you. Cloaked with snow, this young conifer is pretty enough without lights, basking instead in the soft glow of a lights-draped Santa. Strings of tiny white lights covering these giant saguaro cacti highlight the striking sculptural shapes against the night sky in Phoenix, Arizona. Lighting up these cacti may actually help preserve them by keeping them warm, according to some nursery pros. 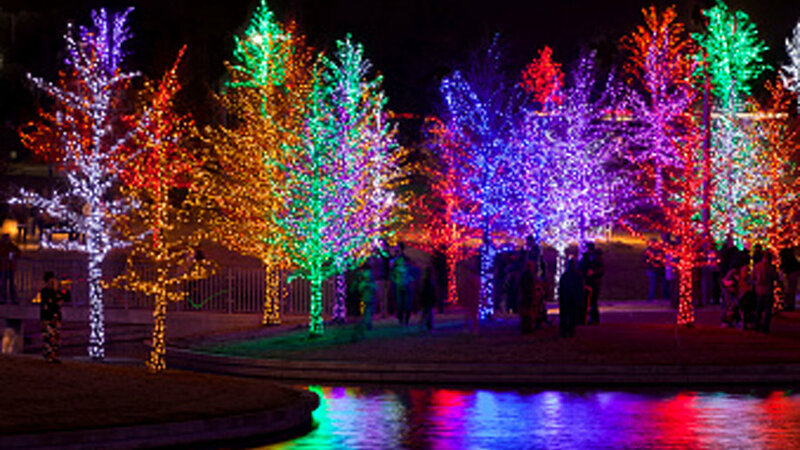 A grove of trees, each wrapped in strings of LED lights of a different color, turns an outdoor gathering spot into a festival of lights. The bands of color that reflect on the water’s surface, like rainbows, enhance the effect. 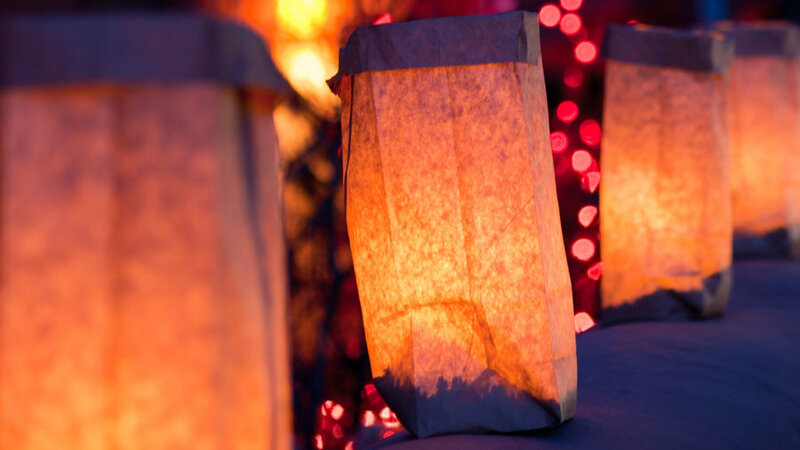 Every weekend through December, thousands of hand- lit luminarias (“lights in bags”) line garden paths at the Desert Botanical Garden in Phoenix during one Arizona’s best holiday events—Noches de las Luminarias. 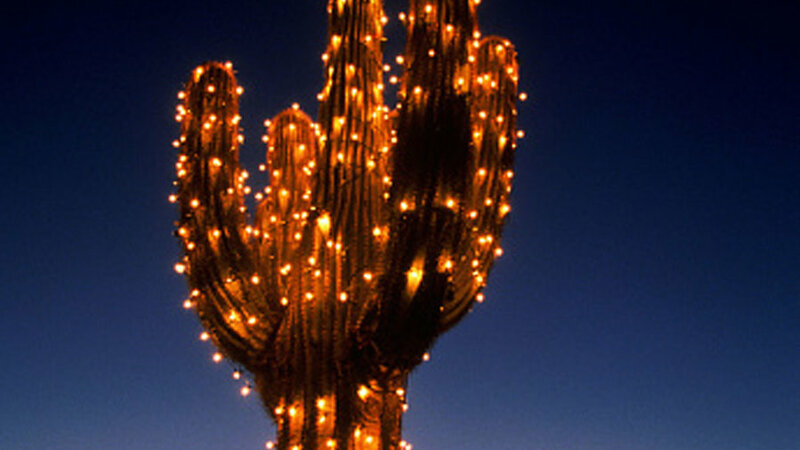 Nearby, cacti in all sizes and shapes bask in the soft glow of white twinkle lights. Can’t make the event? Make your own luminarias by putting tap lights from the hardware store into translucent bags, then lighting the front walk with them. 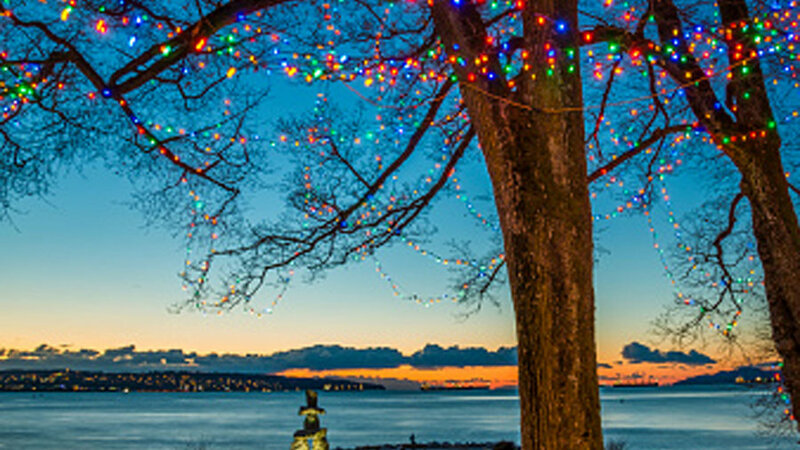 With a view as striking as this one, on English Bay in Vancouver, British Columbia, a delicate sprinkling of lights draped across the trees’ winter-leafless limbs is all that’s needed; they echo distant city lights. 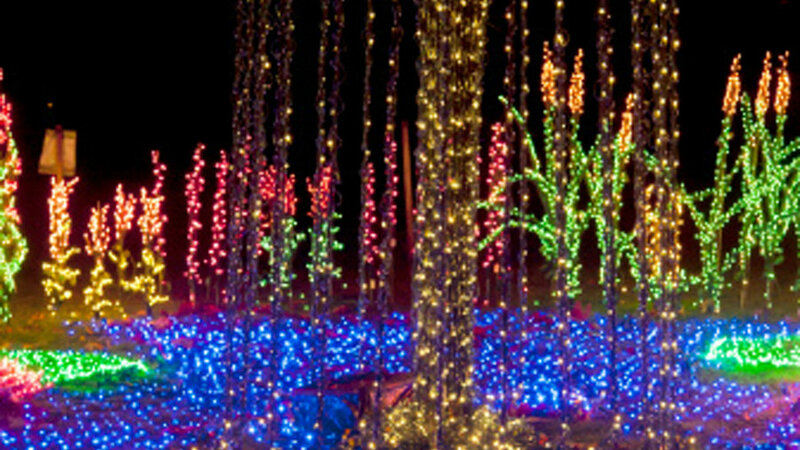 White lights appear to spill into a lake of blue ones in this all-lights flower garden in Bellevue, Washington. For a similar but smaller display, fill an empty birdbath with blue lights). 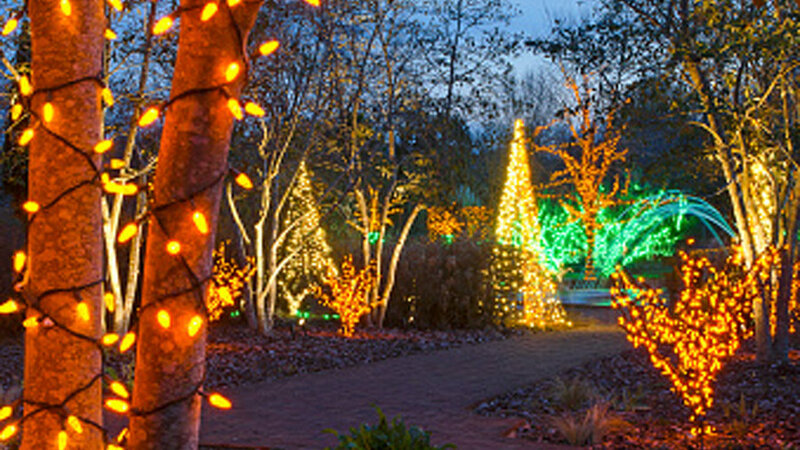 Find more dazzling displays like this during the holiday season at the Bellevue Botanical Garden’s annual light show, . Okay, Halloween has come and gone. 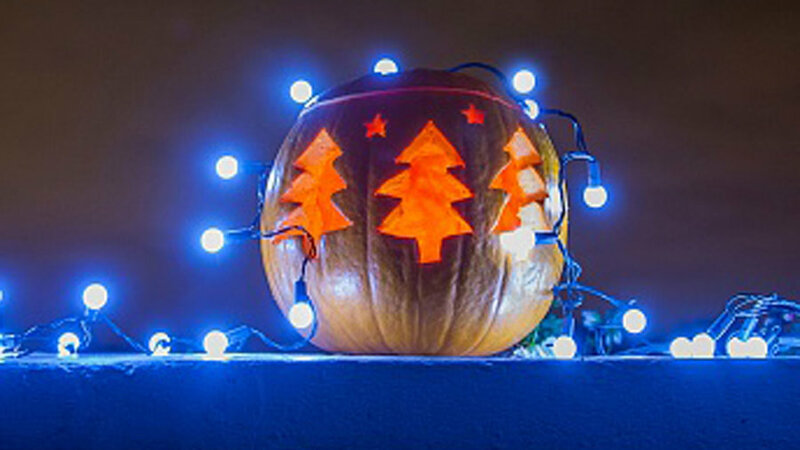 But if you still have an un-carved pumpkin hanging around and you have no time for serious decorating, just hollow out the pumpkin, carve a few Christmas trees around into its outer skin, and drape it with lights. Display it on the front porch to delight guests (a little humor goes a long way in during the holiday crunch). 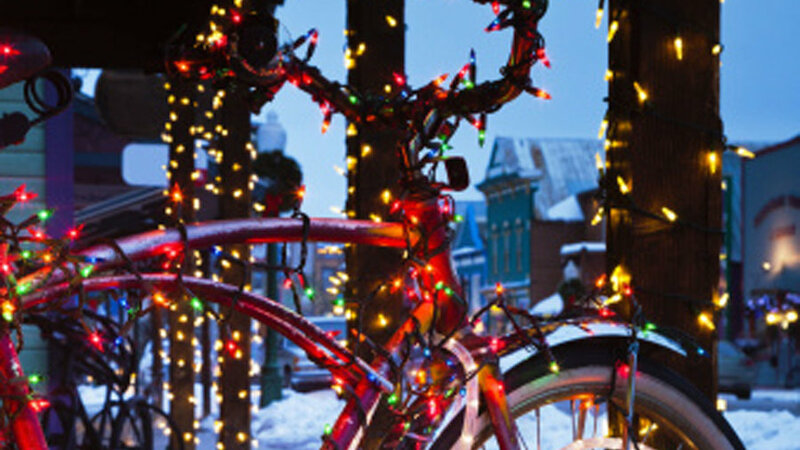 Cold, wet days aren’t the best cycling days, so why not drape your cruiser with lights and park it on a protected porch? Bring deciduous shrubs such as barberry and smokebush out of the shadows by wrapping their branches as you would on trees. Placed on shrubs of varied heights and shapes, these lights—in subtle shades of gold and green—turn a quiet winter garden into a festival of lights. 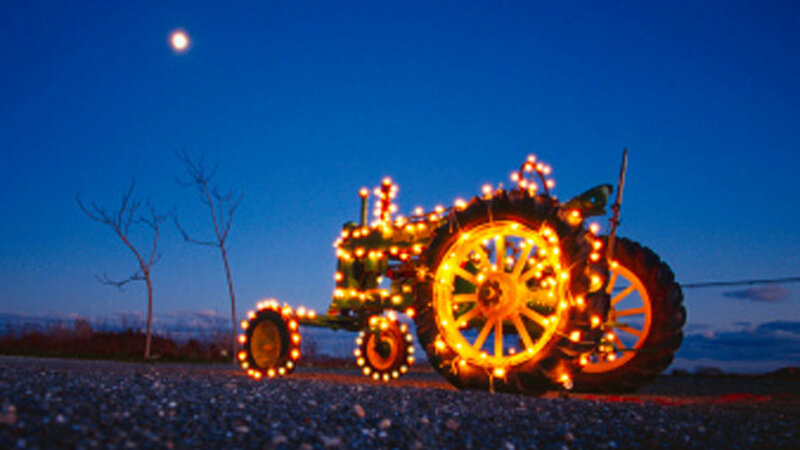 Use rope lights to outline the shapes of anything, including wheels, like the big ones on this idle farm tractor.